Corruption | Mothers Against Wind Turbines Inc.
–We take the concerns about ground water seriously. –We take a very cautious, scientifically-based approach when setting standards for renewable energy projects to protect the health of the Ontario people. –Pile driving vibrations do not affect water wells. –Our Government is committed to clean energy. 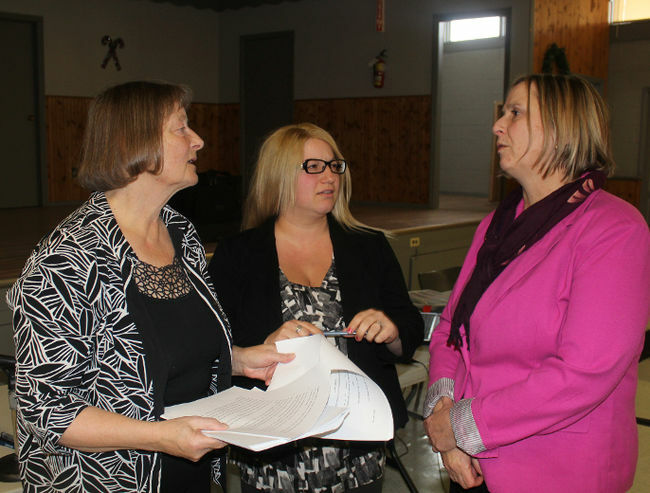 The concerns of residents in some of the affected areas in the former Dover Township have been made aware to the Ministry in 2012. The problem arose in the former Chatham Township shortly after pile driving started in June of this year, just as was predicted by Water Wells First, based on what had happened in Dover which has the same Kettle Point Black Shale in the aquifer. MOECC’s solution was to take turbidity tests which represents the clarity of water and not the heavy metals that are being carried in the water, some visible and some only visible under a microscope. Dr. Colby states that the lead, arsenic mercury and uranium carried in the particles in the water will not render it unsafe. At the same time, he refuses to touch or have it tested and certainly would not drink it. Scientific based approaches are as effective as is intended by those doing the testing. I saw a vibration monitor on the Centre Side Road that was affixed to a well casing, which is not in contact with the bedrock, with a hose clamp that was not tightened to hold it tightly against the casing to pick up vibration. In addition, it was less then 100 meters from the road and at least 550 meters from the pile driving site. Does it seem reasonable to have a busy road between the site monitored and the sensor? Does it seem reasonable that no analysis is being done on the black matter suddenly appearing in wells that have been pristine for decades? Is that what a scientifically based cautious approach is all about? So, computer models and engineer’s theory say that pile driving does not affect water wells! No one has heard of a major water well problem for years, yet within two or three months of pile driving at least 16 water wells have been adversely affected. Engineer’s theory also said that the Titanic was unsinkable. Engineer’s theory and model said that the O ring in the Challenger space shuttle was adequate, but its failure caused an explosion and a major crisis in the USA space program. There is precedence for engineer’s theories and models for being wrong. Could this be another? Does actual observation not have preference over theory? Our government is committed to clean energy apparently at the cost of water wells. Perhaps if the following questions were answered, it would shed some light on why they have this commitment. 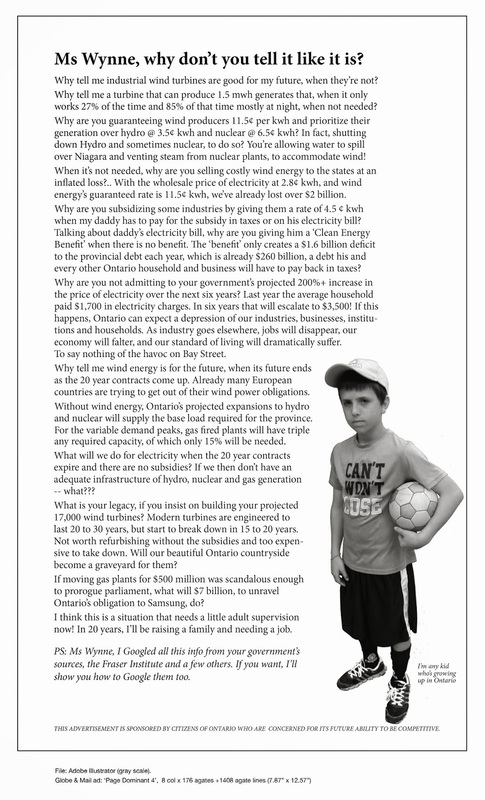 How much money was paid by the wind industry to individuals, political parties and the Ontario government for the privilege of building turbines in Ontario without interference? How much money was paid by the wind industry to individuals and the municipality to become friendly hosts for turbine construction? How much money would it take to stop construction and stop operation of turbines until their negative impact on environment issues, especially water, are properly assessed by an independent party, since our politicians, local and provincially, obviously had not done “due diligence” prior to signing the agreements? Are the citizens of this province being used as pawns in a system that is broken? Are some ministries, such as MOECC, actually company self-monitoring agencies that are incorrectly being paid by our tax dollars rather then the companies that they refuse to police. How do we change things? Is common sense dead? According to FIOD, the now bankrupt Hollandsche Wind was used to commit Ponsi fraud – an illegal pyramid scheme. Investors paid a minimum of 5 thousand euros and were promised high returns on wind energy projects. But their returns were paid with money from new investors. No money was ever invested in wind farms or real estate. According to the Prosecutor, the fraud amount is around 8 million euros…..
Wind Power Complex installations demonstrate a common, reoccurring and global pattern of adverse effects and harm. The following mirrors the range of issues being reported and documented by impacted residents in Ontario, Canada. Mr Kwiatkowski also noted that the existing regulations on noise measurement did not guarantee “reliable [assessment] of nuisance resulting from the operation of a wind farm”. Specifically, under the existing regulations noise was measured at low speed levels, with wind speed below 5 m/s. However, the noise is most intensive at wind speeds of 10-12 m per second, which are optimal for wind turbine’s performance. Furthermore, the regulations did not require measurements of other impacts such as infrasound and shadow flicker, according to President Kwiatkowski. The inspections also disclosed that in one third of the municipalities there were conflicts of interests involving “individuals who were primary beneficiaries of wind farm projects”, that is people who concluded land lease contracts for wind turbines. Such people tended to be “mayors, members of their immediate families, municipality officials, council members” who had approved changes to local zoning plans enabling the construction of wind farms in the first place. 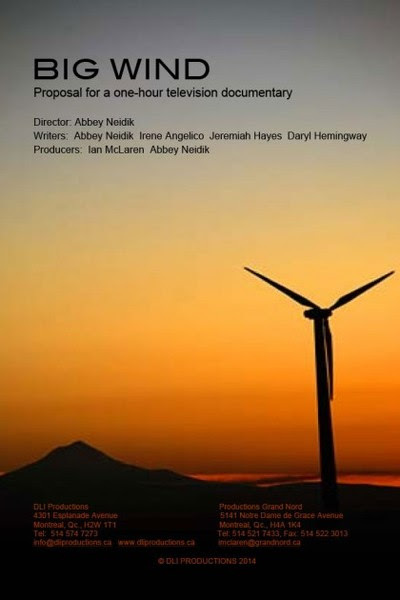 Big Wind is a story of unethical political systems, corporate greed, and ordinary citizens who have had enough and are standing up to big government and big business. They are part of a growing revolution in rural communities in Southern Ontario and around the globe– people fighting to defend their homes, their way of life and the environment against Big Wind. It is a battle that will profoundly impact the green movement, as well as the well being of citizens in Canada and citizens worldwide for years to come.